Giant Orange Woodlice (Porcellio sp.) 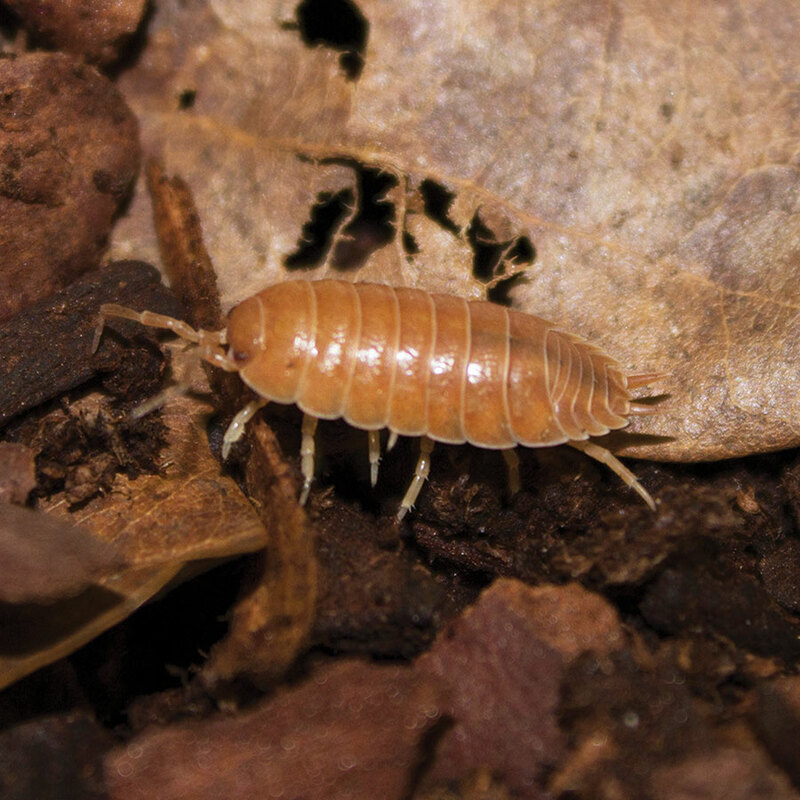 are one of the larger species of isopod commonly used as terrarium custodians or 'clean-up crew' and live and breed well in bio-active set-ups. As adults, they may attain a length of up to 18mm long. Giant Orange Woodlice are also useful as a livefood for many reptiles and amphibians and have the advantage of a high calcium content due to their calcarious exo-skeleton. If they are to be used as food, they are best served up in a smooth-sided dish in much the same way as mealworms or calci-worms. To thrive and become established in the terrarium, they need to be in a constantly damp and humid microclimate which normally means that they hide away for much of the time under branches, rocks or within the substrate. They are supplied in tubs as a starter culture of various sizes.